Crowdfunding Update – the power of collaboration to make change happen. 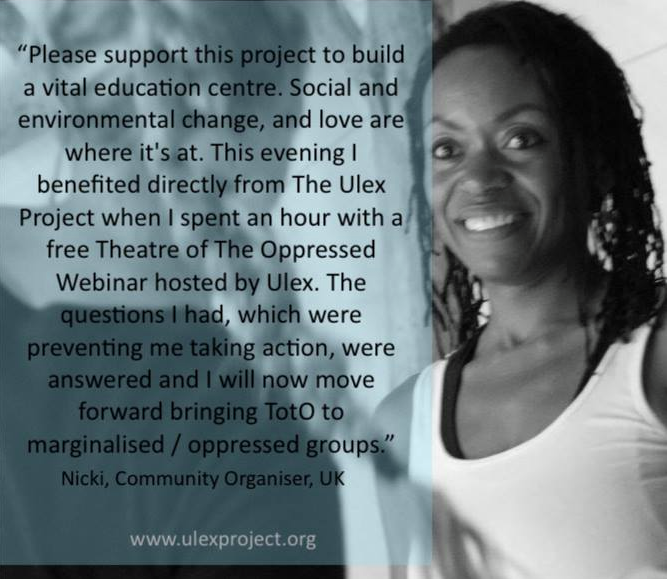 One of the key aims of the Ulex Project has always been about offering a space for activists to build new connections across Europe. A space where – away from the day-to-day slog of making change happen – people can take time to strengthen their networks and better understand how our struggles intersect, forming new friendships in the fight for a better world. In May of this year we witnessed the power of the many first hand, when we launched a crowdfunder to raise the funds for the building renovations required to get our new training centre off the ground. During the 40 days of the campaign close to 300 people from 13 different countries contributed to raising nearly 42000 Euro, with donations flooding in from across the far reaches of the globe. We are immensely grateful to all our supporters – to those who invested personally in helping us reach our target, and to those who spread the word on social media and championed the cause. History has shown repeatedly that when people come together for a good cause magic can happen, and we certainly witnessed that through the rollercoaster month of the crowdfunding campaign. 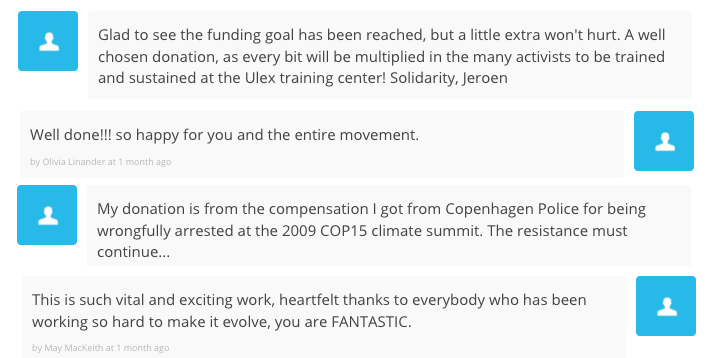 The extended Ulex and Ecodharma networks got on board, including family, friends, trainers and facilitators . We also had incredible support and encouragement from hundreds of participants who’ve attended courses, or helped out with building projects over the years. The diverse spectrum of people who contributed was testament to the core values that sit at the heart of the project, with people getting involved from all walks of life. Some were seasoned activists and community organisers working on the frontlines of crucial change. Others were newcomers who’d heard about us via word of mouth, concerned citizens wanting to contribute towards an alternative story of a Europe undivided, a story of cohesion, collaboration and creative action. On a daily basis we received posts, comments and messages of encouragement– which kept our hopes afloat during the quieter periods – and it was heartening to hear from so many people dedicating their lives to bringing about progressive change across the world. The final day of the crowdfunder was a nail-biter, and we tipped over into reaching our target just 8 hours before the deadline. Astonishingly even then, the donations kept flooding in for days after, and there were plenty of shrieks, yays and whoops echoing out over the Catalan valleys. A week later the building team arrived on the site and for the past 6 weeks the Ulex Project has been a dusty and very busy centre of activity. There’s a significant amount of work to be done, but we’re excited to see the vision really starting to take on the shape we imagined, and with places already filling up for year’s programme ahead of us, we’re now all hands on deck to get the doors open for the first training in October! Looking out at the bigger political picture these are exciting and challenging times, with the sharp realities of the last few months full of peril and promise. We feel privileged to be in a position to support the networks of passionate and dedicated people relentlessly pushing to make change happen – on the streets, across our communities and through our interwoven struggles, and hopes for a better world. 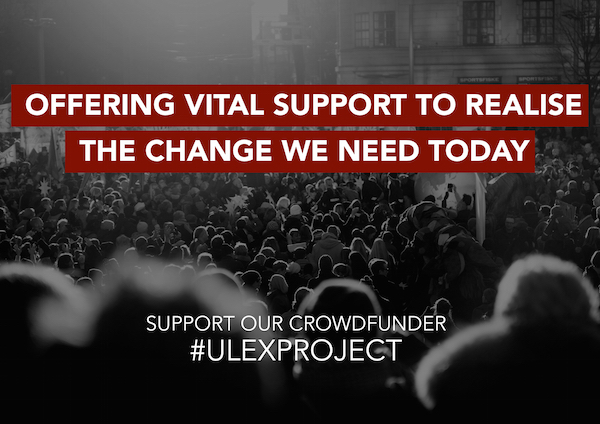 For the Ulex Project this is just the very beginning …..thank you to all the many generous hearts and hands who’ve supported us so far. To stay updated on the project sign up for our mailing list and like/follow our Facebook and Twitter.